India celebrates Teacher's day on September 5th, which is the birth date of a great teacher and second president of our country 'Dr. Sarvepalli RadhaKrishnan'. As a student, we used to participate in different activities and perform before our teacher in schools on that day to entertain them and to let them relax and enjoy in a happy mood. Our Principal used to recognize best teachers by awards and prizes. It used to be a fun event organized by students. Teachers play a very important role in our lives. They mould us to be a great human beings. As per Indian mythology, we give great respect to them only to be next to our parents. On this day, I remember many wonderful teachers who impacted my life and want to tell them a big thank you. My first teacher/ Guru is my dance teacher 'A Parvathi Ramachandran'. She is an excellent teacher guiding her students to be more creative on their own. Instead of giving traditional education, she encouraged us to experiment and set our own dancing style without imitating any one else's. 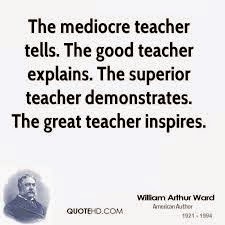 What more can a student expect from a teacher? Another teacher who i considered as inspiration was 'Mrs. Radhamani', she was my Telugu teacher in school. Her teaching style is excellent, whatever she teaches, it sticks to your heart and she knows how to impress us :) Being an introvert in school, I was hesitant in participating in debates/ elocution / any public facing performances. With her support, I gave a speech before whole school and earned accolades. She encouraged me to participate in Junior red cross camp to Shimla which made me self reliant and confident. There are many teachers from our college who encouraged students to think innovative or to think beyond our books. There are many teachers who made me realize that bookish knowledge alone is not enough in this world and learning is a continuous process. There are many mentors in my professional life who guided in my successful career. Even though I couldn't name each and everyone here, I am indebted for their guidance and suggestions and would like to say my heart-felt Thanks.